If you have recently had a loved one pass away, it is important that you understand how to administer the deceased estate and what responsibilities you have as an Executor. Our experienced Wills and Estate Lawyers can guide you through the administration process from start to finish. We will meet with you to explain the process including relevant time limits and the need to obtain a Grant of Probate or Letters of Administration. Once Probate or Letters of Administration are obtained, we will assist you to call in all assets of the deceased and also to pay any outstanding liabilities. 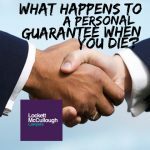 After all liabilities have been paid and assets realised, we will arrange for the distribution of the estate in accordance with the terms of the deceased’s will. This also involves preparing a final account for all beneficiaries. 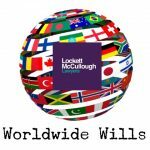 A Grant of Probate from the Supreme Court is the grant of official approval from the Court that the Will is valid and that you are validly appointed as Executor. Once you have obtained Probate, you will then have the legal authority to administer the deceased’s estate as expressed in their Will. 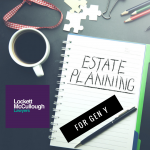 Most banks, authorities and organisations will require a copy of the Grant of Probate before they will provide information or transfer any assets of the deceased. A Grant of Letters of Administration from the Supreme Court is the issue of paperwork which confirms the official approval from the Court that the person named (you) – the Administrator – is entitled to deal with and administer the estate of a deceased person who died without leaving a Will or where the persons named as executor in the deceased’s last will are unable or unwilling to act as the Executor. Let our experienced Wills and Estate Lawyers guide you through this process to ensure the smooth transfer of assets during this difficult time. Please call us on (07) 3870 8244. Our friendly team would be able to assist you.